Following on from a massive third week celebrating Carl Cox’s birthday to a full capacity house, RESISTANCE Ibiza is ready to bring the action once again for Week 4. Last week, the King played throughout the night to a record-breaking crowd for RESISTANCE Ibiza, with over 600,000 tuned in via the BE-AT.TV live stream. 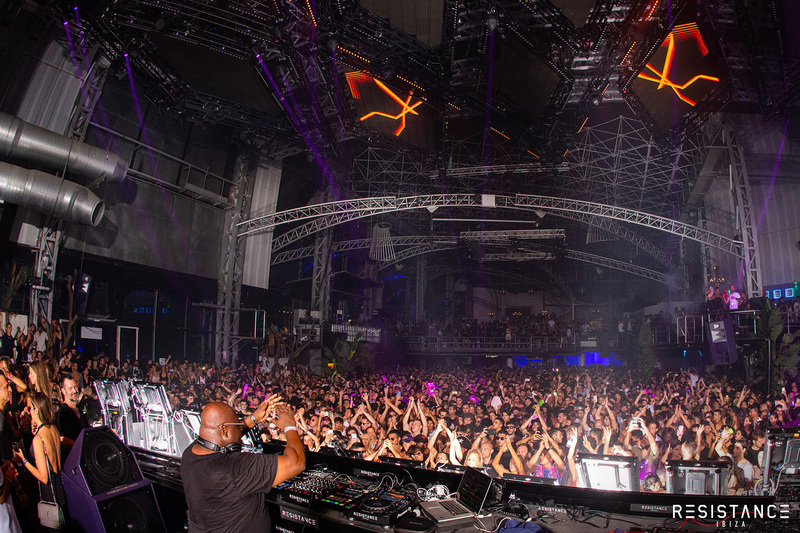 It isn’t an understatement to say that Carl’s RESISTANCE Ibiza debut was easily the party of the Ibiza season thus far. 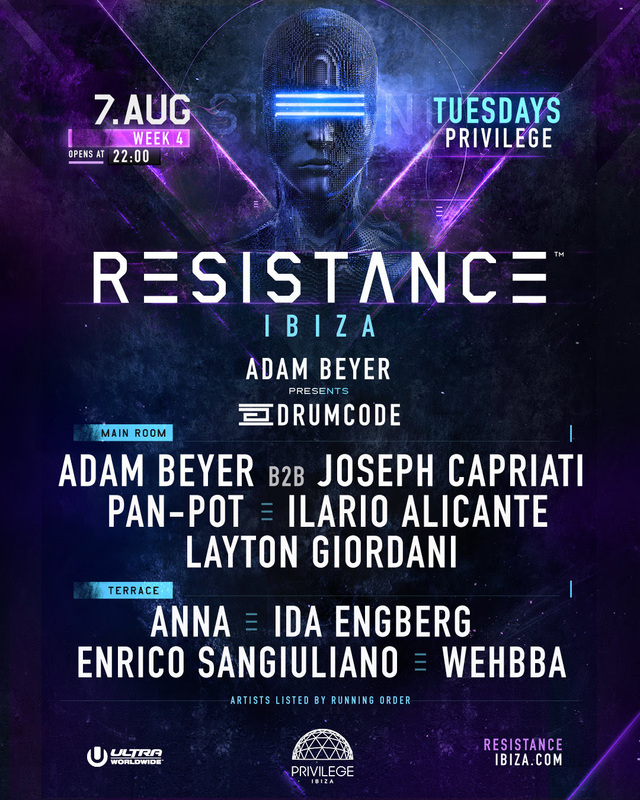 RESISTANCE’s White Isle journey continues with an exciting Drumcode takeover this Tuesday, 7th August. Label boss Adam Beyer will be headlining the night with an exclusive B2B set alongside Italian maestro Joseph Capriati. The Main Room is rounded out by Berlin duo Pan-Pot, Ilario Alicante and the budding Layton Giordani. The Terrace will kick off early at 22:00 with Brazilian DJ Wehbba. Enrico Sangiuliano is set to make his Ibiza return with Ida Engberg following Sangiuliano on the decks and ANNA closing out the night. RESISTANCE and Drumcode could not be more of a perfect pair for each other. The label’s signature hard-hitting and driving techno will truly test the limits of Privilege’s Main Room and Terrace when matched with RESISTANCE Ibiza’s strict Funktion-One only sound system policy, not to mention their cutting edge production. With another special program planned for this week’s show, expect Drumcode’s emblematic sound and style to electrify RESISTANCE this Tuesday night.